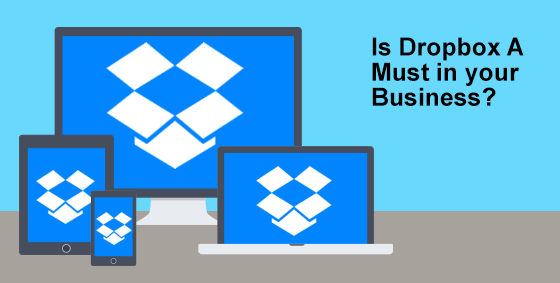 Is Dropbox Suitable For Your Business? It seems easy! Install Dropbox and then drag your files into a Dropbox folder and you’ve got yourself a cloud based file storage system that brings your business in line with modern expectations. But then again, maybe not! Due to its simplicity Dropbox has grown to become one of the main file sharing and cloud storage solutions around. For some businesses using Dropbox can provide good value, and it never hurts when your staff already know how to use the software. In other cases another alternative designed to meet business needs may be more suitable. Micro-sized business: If your business is small with only yourself or a couple of employees. No sensitive information: This includes personal details of customers, vendors and staff or other proprietary data such as accounting information. Nobody ever accidentally deletes anything: Dropbox is a syncing service, which means when a file is deleted, it is deleted from all machines. While you can recover the file from the Dropbox website you need to do this within 30 days – which by the time you notice it’s missing may be too late. If you’re thinking those attributes sound more like a fictional business, you’re not far off. Dropbox’s popularity in the consumer space has caused businesses to use Dropbox despite the risks. Dropbox is designed for syncing and NOT backup. This means while your data is copied across all connected devices, it is a mirror of the data only – when you delete or change the original file it is immediately synced across devices. If malware infects one machine this can spread between all your connected devices and put all of them at risk. You may require access control on certain files or folders. Dropbox acts like a free-for-all, the shared files are sitting there available to anyone with access to read, change and copy. You will also miss collaborative editing, losing out in productivity and data resilience as multiple employees overwrite each other simultaneously. Another issue is – where are your files that are located in Dropbox actually stored? What country, what type of data centre, what countries laws apply, for privacy reasons do you require all data to be stored within Australia or another country? These are all legitimate questions which Dropbox doesn’t have an easy answer for. If Dropbox makes sense for your business, there’s no reason to change. But if it is clearly not a good choice for you there are multiple corporate grade solutions available. These are designed for specifically for businesses with security, encryption and collaboration controls built in. Rather than the easiest solution which may pose a risk to your business consider implementing a business class scalable solution that meets all your needs. Ever since computers were invented people have been talking about a paperless office. But if you are like me your desk is buried in paper, shelves are overcrowded with stacks of documents and there is just enough space for your keyboard, mouse and coffee? 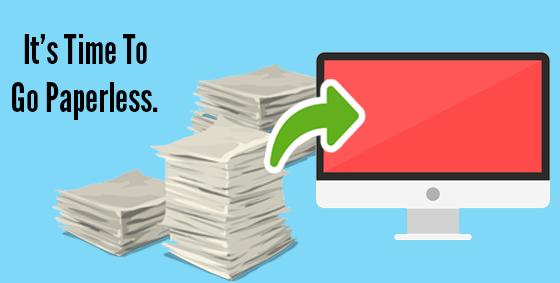 Well it is now time to go paperless, not just for your own sanity, but to streamline your entire business. It’s the one move that will save time and space while gaining flexibility for your mobile workforce. Leverage the cloud for storage and search: Research the cloud and see how you can implement in your business. Documents can be uploaded, viewed and edited only by those with permission. There are free options like Google Drive and Dropbox right up to corporate grade solutions like Soonr (which is what we use). Some solutions provide functionality that easily enables you to find files using search functions, and no longer need to remember whether it was filed by name, subject or category – just enter what you need and let the system locate it for you. Then simply edit, share or email the file as required. No more filing cabinets or archive rooms, just clutter-free workspaces, room to breathe, and possibly even lower overheads now that you could fit into a smaller office space. Cloud based file storage also allow remote access, perfect for working on the go or telecommuting staff. Access files at any time using your secure login, on any device, from any location. Provide training across the board: Ongoing training is needed to ensure all workers are up to speed with the new system and the way you’d like things done. This is also the best time to set standards for file and folder names, new collaboration norms and security protocols. Long-term adoption requires cooperation from workers at all levels of your business and training for everyone will go a long way towards its success. Scan necessary papers: Unless you are a new business you will probably need to scan a lot of your old paperwork. Most office grade multifunction printers offer double-sided feed scanning, thus you can quickly scan papers into the system and then dispose of the paper. Alternatively, you can obtain special scanning hardware like the Fujitsu Scansnaps. If you still need a fax machine consider a fax to email service or see if your fax machine can be set to accept digital files only. File will scan to quite a small size, so running out of hard drive space shouldn’t be a concern. 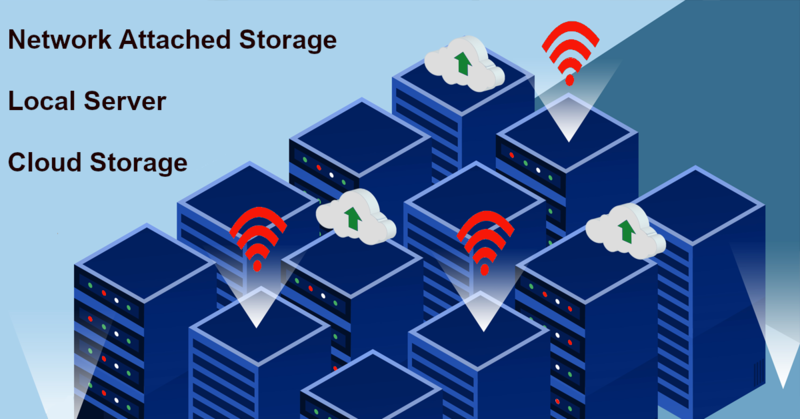 Prioritize backups: Once you have digitized your files you don’t want to lose them so you best have a robust backup system – including a regular off-site backup. Treat your backups as a vital insurance policy, so that your files are readily available and intact if required. Use your backups to address any issues as soon as they arise and keep your new paperless files well-managed and secure. Ready to go paperless? We can help. Call us today at 08 83263 4364 or at support@dpcomputing.com.au.